As the extremist quasi-state ISIL moves to confront its neighbor Lebanon, the United States is strengthening its aid to the country as a response. For the past year, the Lebanese army has repeatedly fought off attacks from ISIL. The first major attack came in August 2014 when the group along with Syrian Al-Qaeda group, Nusra Front, attacked a border town, Arsal, targeting army bases within the town and killing at least 20 soldiers. The group captured 20 soldiers and policeman and took them along as hostages in the mountainous region near Syria which serves as their base. In October 2014, the group continued their attacks by targeting Hezbollah posts in two bordered towns, Brital and Nahleh, killing 3 of Hezbollah’s soldiers. Recently, in January, the attack in Tripoli, where at least 8 people died, is being linked to ISIL, although it hasn’t been confirmed. All these attacks are meant to help ISIL, a Sunni organization, gain a foothold into the country and weaken its enemy, Hezbollah, a Shiite group, who has openly been supporting the Syrian President, Bashar al- Assad, an Alawite. These attacks are meant to garner support for ISIL by pitting the Sunnis against Shiites in the country. 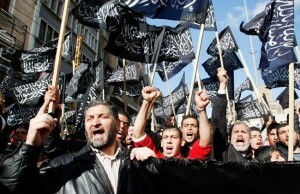 In the process, ISIL has gained more members from Lebanese moderate rebels who are fighting against the state military. It is reported 700 people have joined ISIL from Lebanon, however ISIL’s aim is not to gain members but to successfully weaken Hezbollah’s power within the country. It has planned massive attacks in the cities where Hezbollah’s power is the strongest, posing a threat to not only Hezbollah but also to Lebanon’s military and civilians. Due to the increasing involvement of ISIL in Lebanon, the United States has multiplied their funding to the country, supplying weapons and capital to successfully fight off the group. In 2014, Lebanon received $100 million worth of military aid from United States, and this has only increased in the new year. With ISIL not minimizing their attacks on the country, the United States has send over $25 million worth of weapons to aid the Lebanese military. It sent over 26 million rounds of ammunition, ranging from small to heavy rounds, numerous Humvees and other vehicles, and 72 M 198 power supplies. This aid is supposed to help wipe out the group as the United States along with other countries have formed a coalition to erase the group. Along with Lebanon, Iraq has been provided military aid, mainly in the Kurdish regions. In order to fight ISIL, United States has also deployed troops in Iraq. In June, the numbers of troops were about 480 but now in February they have reached to 4,500 in Iraq.